As I write this post, I am attending a land use hearing for the West Butte Wind Project in Central Oregon. (thank goodness for wifi!) Amazing wind energy facts presented by the developer and their consultants are so exciting that I just have to share! By publishing this information, its our hope that more communities will support wind projects, and more investors will decide that they are worth the money. Multiply these figures by the life of the project, approximately 20-30 years, and you have significantly reduced the carbon footprint of the communities that will be supplied with the clean, renewable energy. Speaking of people that can benefit from the West Butte Wind Project – 100 MW is enough energy to supply 50,000 homes with electricity. To put it in perspective, our entire City of 80,000 residents could be powered with the electricity from this one project. 100% clean and 100% renewable. With figures like this, you no longer need to contemplate the question, “who clean is wind energy?” Sparkling clean. Now, let’s talk about jobs. During the year-long construction of the West Butte Wind Project, hundreds of jobs will be created. Road extensions, foundation work, burying utility lines and the actual construction of 50-80 wind turbines will infuse the area with much needed employment. The jobs don’t go away at the end of construction, either. Employees will be located on site to monitor, repair and maintain operations. If approved, the project would become the number one contributor to the economy in Crook County, including property taxes, surpassing even Les Schwab Tires (based right here in Prineville, OR). Wind projects are entirely in line with Obama’s pledge to create millions of green jobs and his goal of energy independence for the country. Here, Crook County is suffering unemployment rates near 14%. But construction on the project would begin next year. I’ll bet local residents cannot wait. 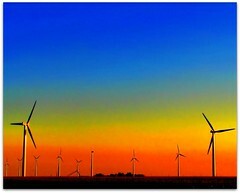 Finally, wind energy is in line, cost-wise, with other sources of electricity. It is equivalent in cost to natural gas-based power. When compared to coal or nuclear, a megawatt of wind power may cost slightly more when you pay up front, but taking into consideration the global and waste costs associated with less clean energy, wind comes out far ahead. The applicant for the West Butte Wind Project studied the site for 3 years before submitting its applications. Crook County will make a decision within about 4-6 weeks, depending on the number of additional hearings that will be held. Hopefully, the winds are blowing in favor of the proposal. It could lay the foundation for similar projects that will also capitalize on amazing wind energy facts and take us in the direction of renewable, domestic energy. Wow this post was really great.I’m doing a wind energy project and these facts really interested me.Thanks for posting it! As an electrician, I am working on one of the largest windfarms in the country just up the road in Arlington, Oregon. 326 wind turbines at 2.75 megawatts each and the impact to the environment is minimal. Every day we see herds of antelope, grouse (yes, sage grouse! ), rabbits, etc all around us not bothered by the turbines. This is a win-win for all Central Oregonians! 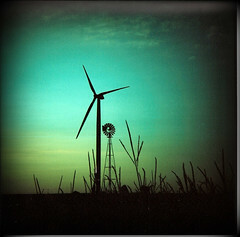 Wind power is not dictated by Middle East politics, Oil company manipulation, etc. We control it right here in our own town hall meetings and Oregon Energy Facility Siting Council decisions. We know that wind power, solar power alone will not be the total answer to our environmental problems. But we have to admit at this time it is the best we have with our current energy policy and technology. I have lived in Central Oregon since 1972 and have seen the Bend-Redmond area grow substantially. We need to do our part to encourage a “Green Oregon”. This post is not only really help-ful for our projects, but is really interesting and needs to be highly considered by larger institutions and countries.